Hello Dear Readers! Well it’s Monday morning again and time to check in to see what our scientists have been thinking about! After much finger tapping during an impressive stint of scholarly thinking, British researchers have come to the conclusion that Neanderthal became extinct because their eyes were too large. This conclusion was published in an actual magazine called, Proceedings of the Royal Society B, thus instantly transforming the British researchers’ Neanderthal Big Eye Extinction Theory into a solid scientific fact. Touted as the biggest idea to hit the British Researcher circuit since the landmark decision that the “h” in Neanderthal is silent, British researchers are giddy over the idea that they have been able to think up something else so good, so soon! After measuring the eye-sockets of 32 Neanderthal skulls, Eiluned Pierce of Oxford University found they were definitely larger than they should be. A finding that dovetails nicely with an earlier theory thought up by British Researchers that Neanderthal’s eyes were bigger because Neanderthal lived in Europe, which is way cloudier, making it much harder to see, thus their eyes got bigger and bigger until they were able to see too good. This caused the Neanderthal to spend so much time admiring the details of fern leaves and other prehistoric things, they completely forgot what their names were and how to eat. 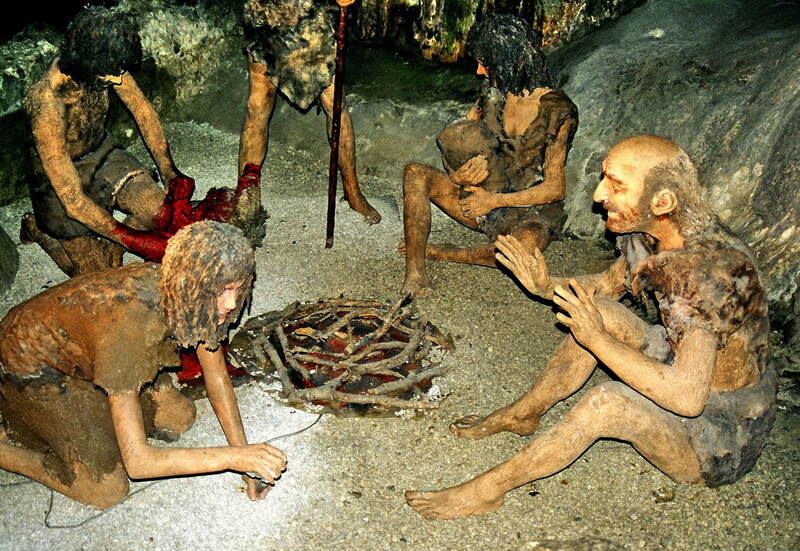 “We infer the Neanderthals’ more visually focused brain structure might also have affected their ability to form larger groups – if you live in a larger group, you need a larger brain in order to process all those extra relationships,” Professor Chris Stringer of the Natural History Museum of London — who has 20/20 vision, and who has lived alone in a one-room apartment his entire adult life — speculated. “The human race is getting dumber and dumber and losing their cognitive abilities and becoming more emotionally unstable.” Stanford University researcher, Dr. Gerald Crabtree has decided to say for lack of thinking up anything better to say. “People with specific adverse genetic mutations are more likely than ever to survive and live amongst the ‘strong.’ Darwin’s survival of the fittest is less applicable in today’s society.” Dr. Crabtree explained after looking up the meaning of the words ‘mutation’, ‘genetic’, and ‘applicable’ and then googling to find out who the heck Darwin was. People of Today Are Just Like the People Back in The Day! Research teams from Royal Holloway, the British Library and Reading University headed by Professor Jane Everson have discovered — after exhaustively rifling through the boxes in the British Museum basement labeled 16th and 17th century — that people back in the 16th and 17th centuries were just exactly like the people of today! “Just as we create user names for our profiles on Facebook and Twitter and create circles of friends on Google plus, these scholars created nicknames, shared and commented on topical ideas, news of the day and exchanged poems, music and plays — just like we do — only instead of using the internet, they used the mail!” Professor Jane Everson effervesced breathlessly. The researchers are taking great delight in decoding the nicknames that the 16th and 17th century scholars used — a task that may take years. However, to ensure that what the researchers are being paid to do this is well worth it, they plan to use only words that have three or more syllables when writing up their findings for Proceedings of the Royal Society B. And there you have it Dear Readers! Our weekly glimpse into the scientific minds of our scientific community! ← Pottery Barn’s Intriguing Story About You! I think those researchers are spending too much time hanging out at the museum or something because they think every thought they have is revolutionary! HA! Fantastic, lady! I suspected that “early man,” if there ever was such a man, perished because of the size of the female’s mouth rather than the largeness of the man’s eyes…(kidding). However, I’m giddy over the recent “discovery” that there may have been water on Mars at one time. However, I refuse to believe it until they can show me the decayed body of the Sparkletts delivery man! I’ve lost all confidence in the Mars Rover. Just after the story about finding “water,” the report came that the Rover would be standing by for a few days…waiting for repairs! AND…as for the fact Mars is made of cheese, we’ll need to look for the Velveeta man after we try to find the Sparkletts guy! Oh well, it would have been a good job. I hear working there is “outta sight!” (Remember that one? Ouch…dated myself with that). Haha! I do indeed remember outta sight. I think I actually used that phrase from time to time. When I wasn’t using Far Out!! Groovy, baby! You are like way far out, little lady. I’ll bet you have some great “people” (mom’s and dads)! Thank you, LV… my week has suddenly become more edumacated than normal, thanks to your wonderful reporting skills!!! Oh thank you Ned. I’m so glad you enjoyed it. And as far as Al Gore goes, I was actually frightened by him when I went to see him live at Evergreen Oil in Newark back when he was first running for VP with Clinton. I gotta say I was extremely underwhelmed. He seemed more like the assistant manager of Sears than a Vice Presidential Candidate but then I suppose that’s the main criteria for being chosen as a running mate. Hey wait a minute!!! What are you trying to say Ned? That Al Gore didn’t invent the internet? Well he was tinkering around with something down there in the white house basement back in 1999. Maybe it was just the vice presidential toaster that he made some modifications to and everybody just assumed he was inventing the internet. It’s a simple mistake. I’ve made it myself from time to time. Now, if you tell me that Al Gore doesn’t eat Funyuns, you will be single-handedly destroying my faith in mankind, just so you know. LOL!! Now there, you’ve hit that nail squarely on the head! LOL! The idea of user names in the 16th and 17th century really makes me laugh!! Galileo “El Guapo” Galilei – haha! 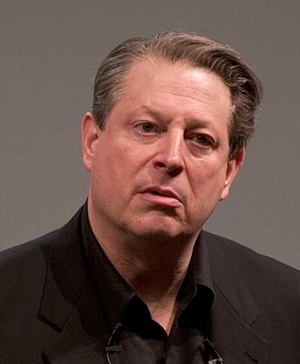 And that picture of Al Gore is way too perfect! He looks like he’s contemplating his next shipment of Funyuns! Dammit! Exactly when did they make that “h” silent? Ahahah! That is so funny!! But it does make a lot of sense. All the old black and white tv shows and pictures I can see how he might make that mistake. I remember one time asking my Grandmother what life was like in the roaring twenties and she said, just like it is now. I remember being shocked over that answer. Ha! I think I thought everything was in sepia! HA! I can’t believe I missed this the other day! As usual, check it out, and my usual comment…. Oh those wacky scientists!